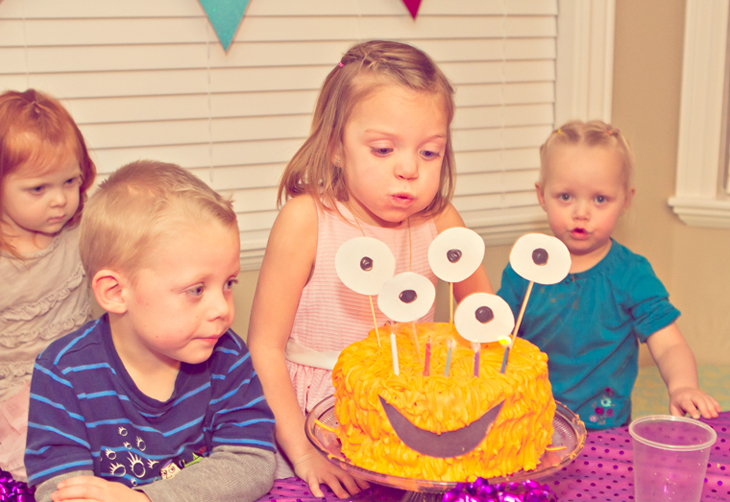 Our Little Bit of Sunshine: Kylin Turned Five and we had a MONSTER of a good time! 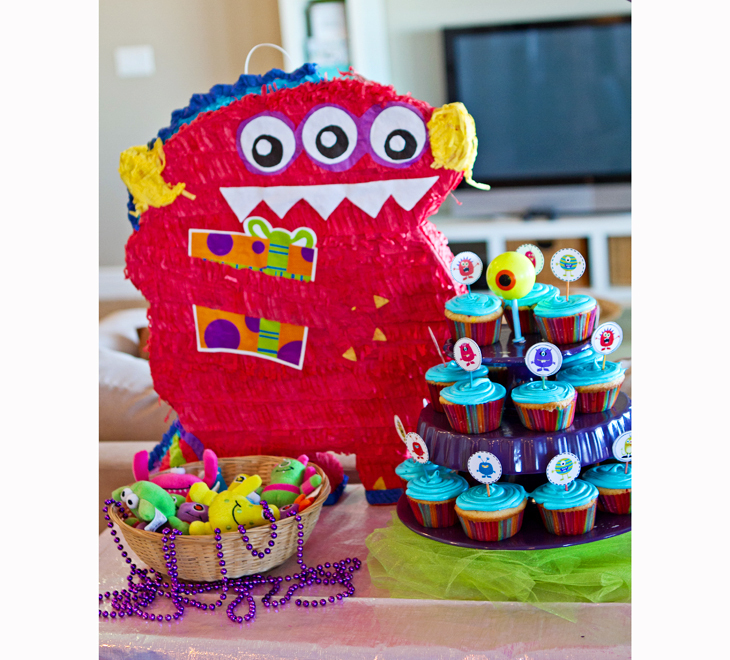 Kylin Turned Five and we had a MONSTER of a good time! Our little Kylin turned 5 years old last week! 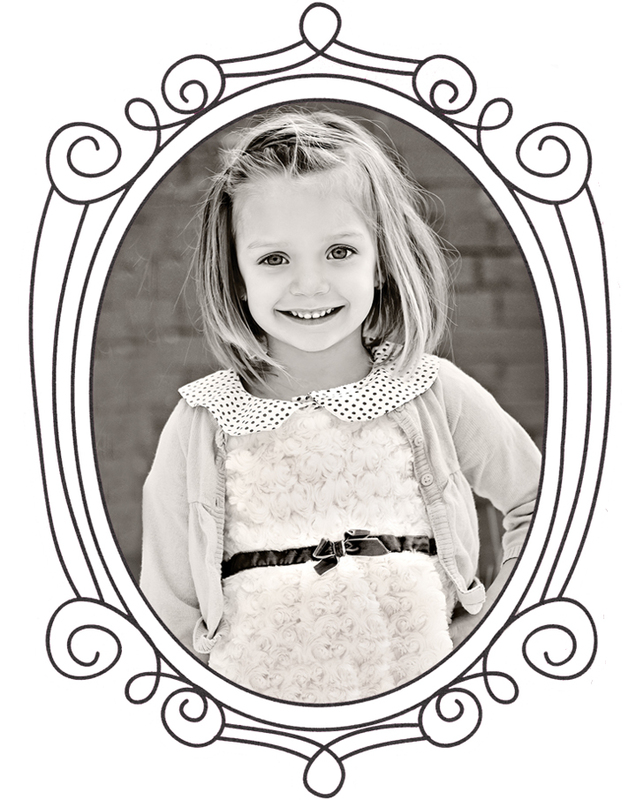 Gosh, the time sure does fly by...I want to say she is only three years old sometimes. haha. I am SO thankful she is apart of our family because she is the sweetest kindest and easiest going child ever. She is a busy girl that likes to talk a lot, full of smiles and laughter, and just as sweet as can be. She gives me random hugs and kisses throughout the day if she thinks I am sad. She loves to cuddle and help me with anything I am doing. She cares more about everyone else than herself. She usually does whatever I ask her without complaining. She is my sweet angel and I am so happy she is my daughter and I can only hope I can be more like her in so many ways. Happy Birthday Kylin, we LOVE you so much!!! 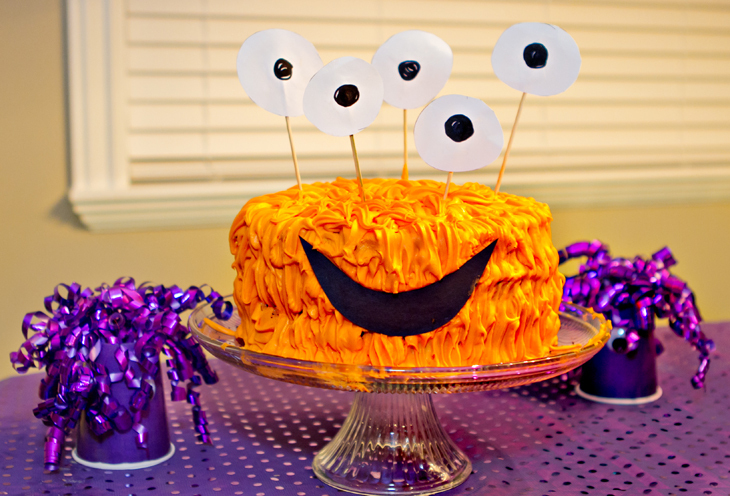 Kylin saw a cake she loved *she sits on my lap sometimes when I look at pinterest* and it was a monster cake. So, a monster party is what she picked! 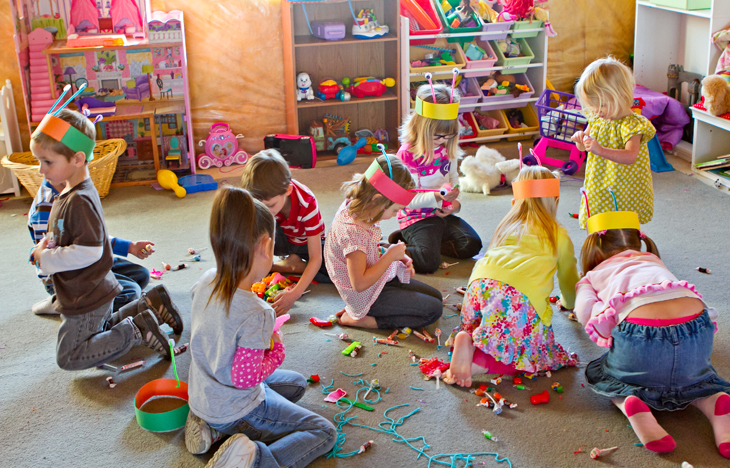 I was excited to do this party because there is so many cute things to do for it. 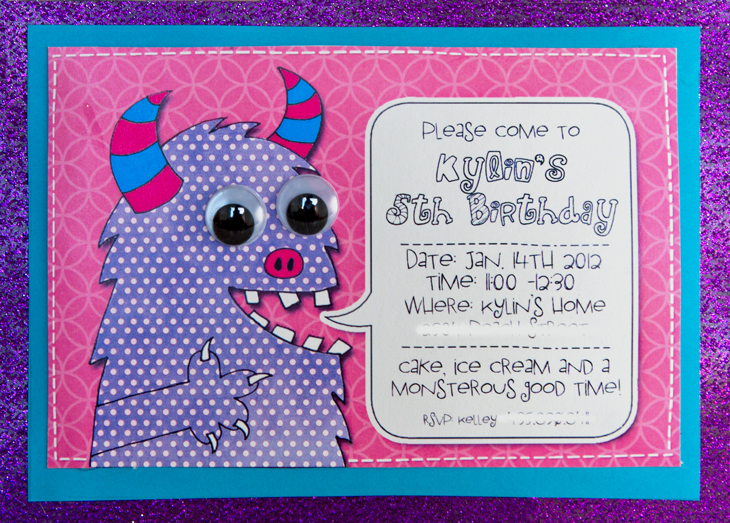 I made the invite on my computer (minus the eyes) and then after I printed it out, I glued it to 2 layers of cute scrapbook paper, of course Kylin picked glittery paper, and then we stuck googly eyes to it. 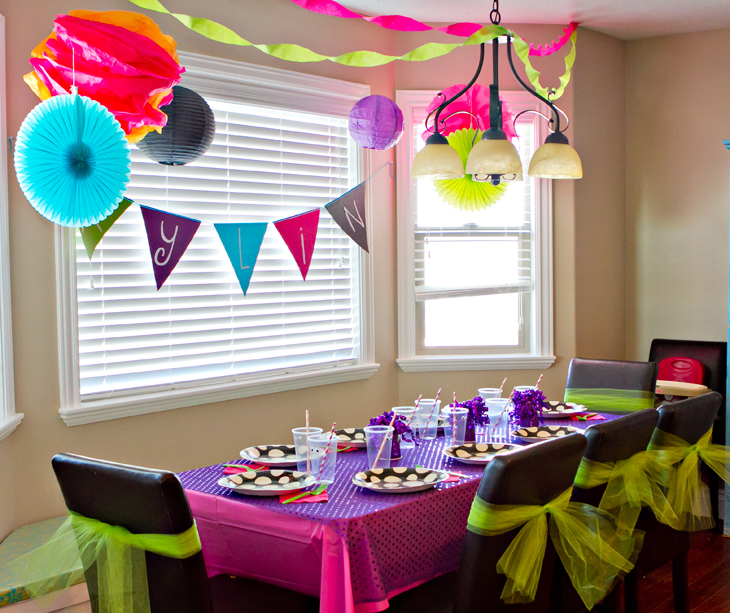 I had a lot of fun doing this party and pulled an all -nighter getting is set up and ready. It was a lot of work, but seeing her face in the morning when she saw the decorations and how happy she was, made it SO worth it! 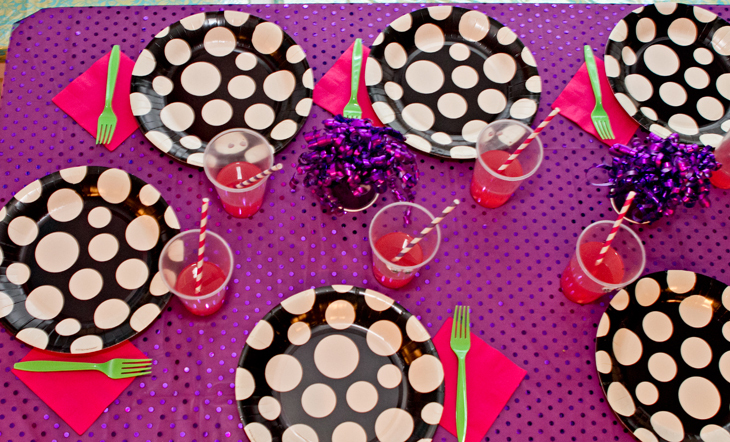 The glittery table cloth is just fabric from Joann's. Made the banner from Scrapbook paper and cut out her name with my vinyl machine. 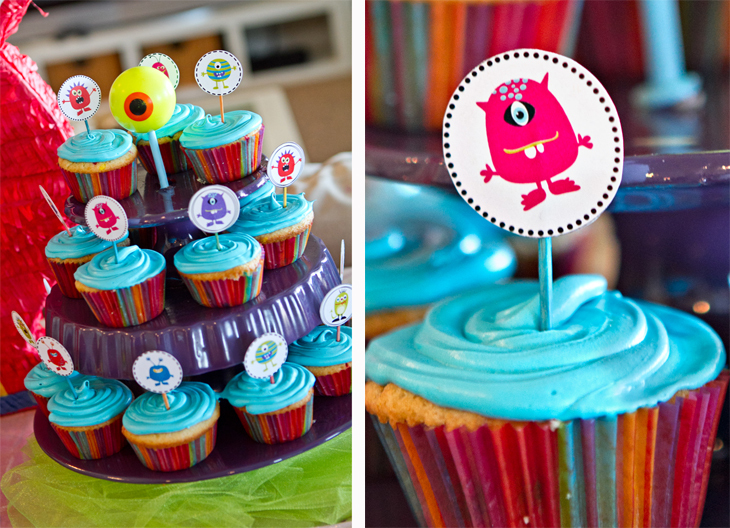 This cute clip art I got from Etsy and made them into cupcake toppers. I just cut out circles and glued them to toothpicks. I painted a DI frame in stripes, and made cute mouths from clipart I found on the internet. 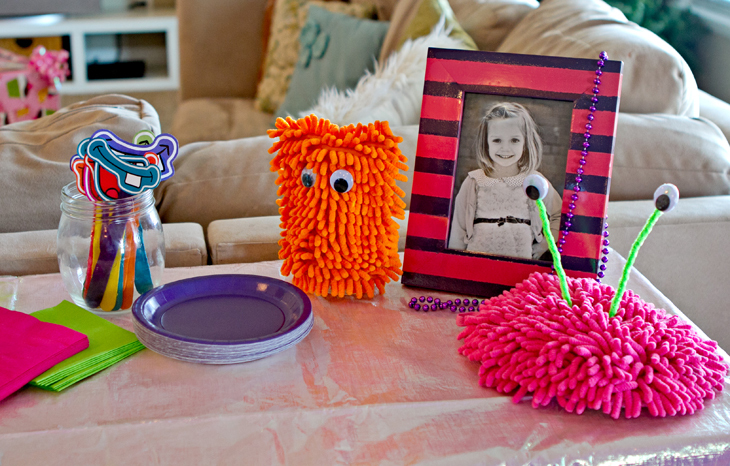 The pink and orange monsters are just dusters from the dollar store with pip cleaners and googly eyes. I got me a JUMBO pack of googly eyes from Hobby Lobby because I went through those suckers like crazy! 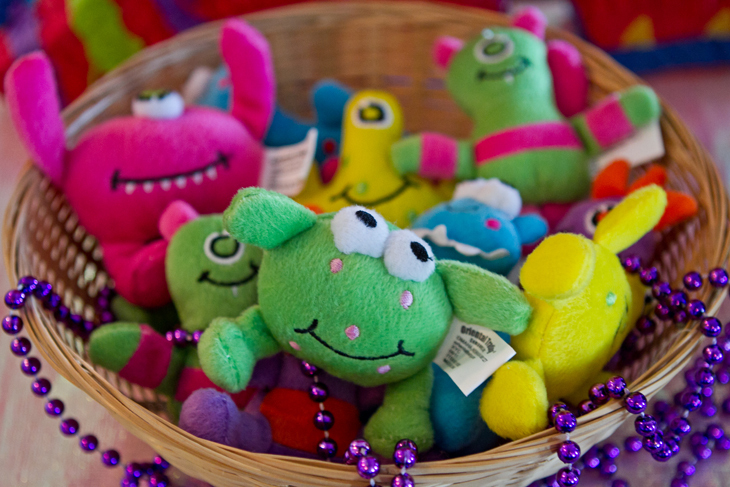 I got these cute monsters from Oriental Trading company.com. They came in a set of a dozen and were really cheap. 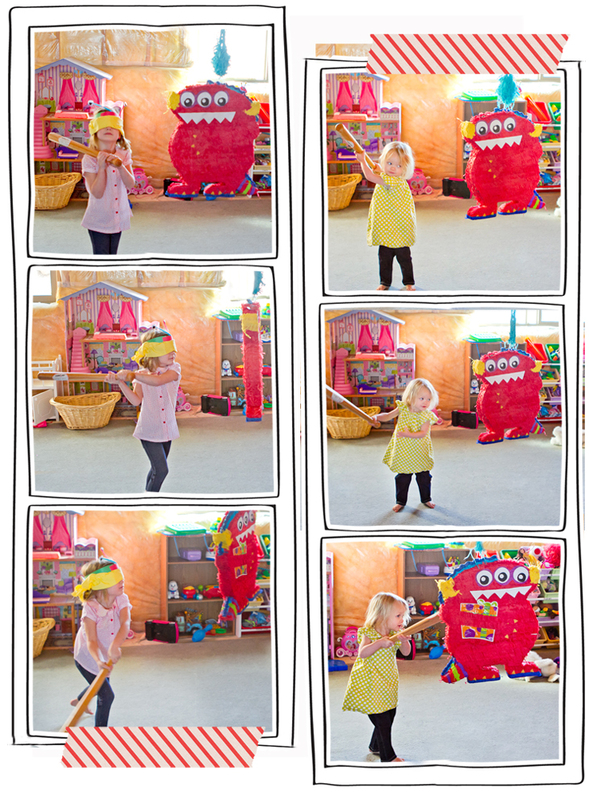 Each of the kids got to pick a monster to take home. 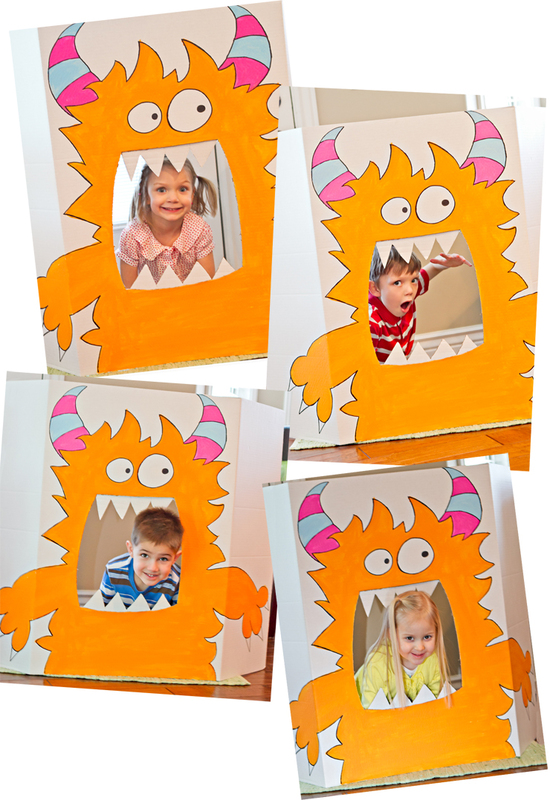 I made this monster cut out from a folder presentation board, you can find them at walmart by the moving boxes. 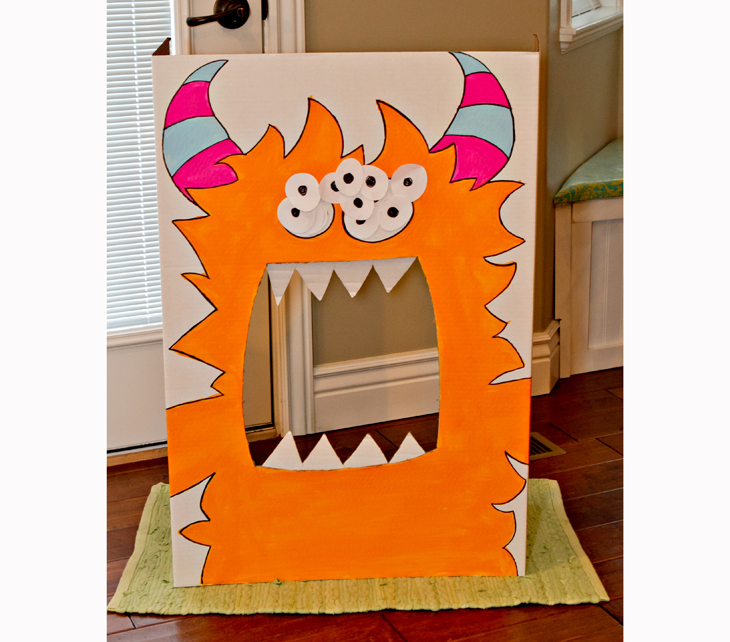 Then I just drew a monster outline, painted him and cut out the mouth and added teeth. 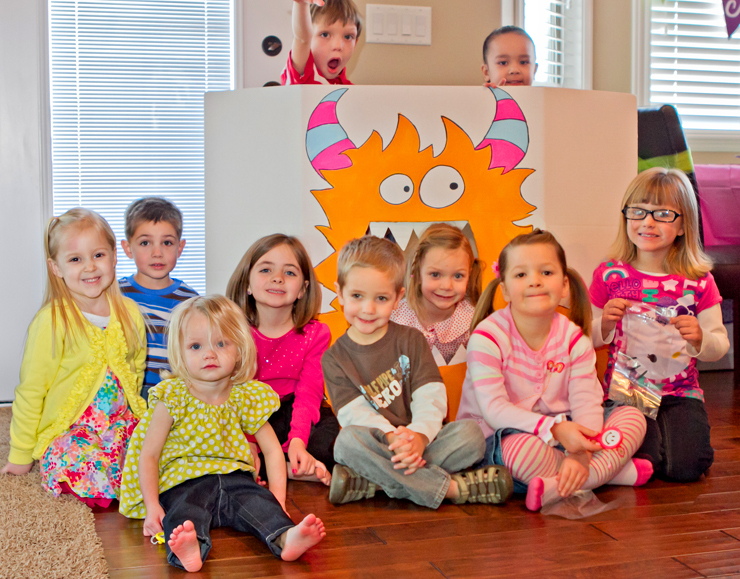 We used him for pictures and for the game, "pin the eyeball on the monster". Ky LOVED him. 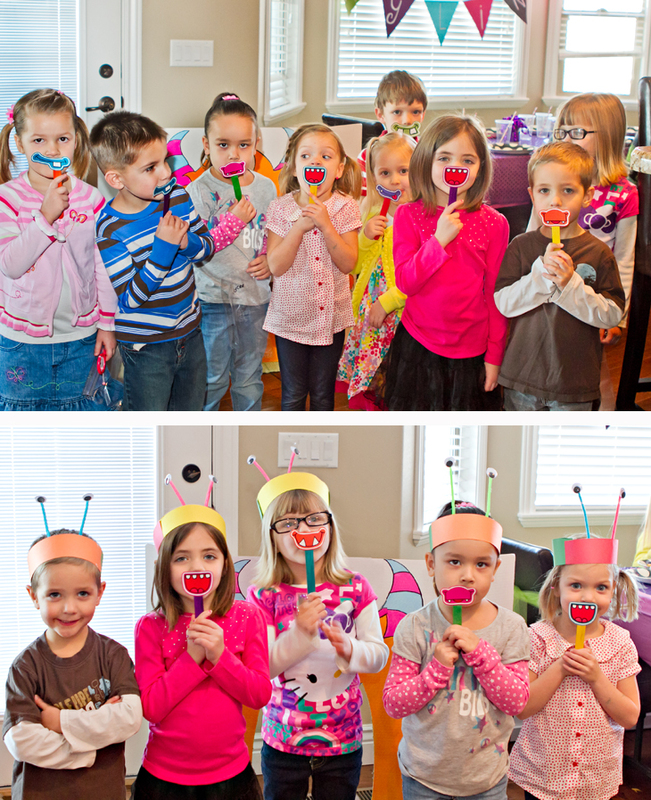 I cut out the clip art mouths I found and put them on popsicle sticks and we made little googly eye hats. The kids had so much fun with them! Lunch was Mac & Cheese with hotdogs and monster slime juice. Thanks so so much to sheila & Sharlie for helping me with the friends party. I know I could not have handled all these kids without their help! LOVE you guys!!! I didn't take many pictures at this party, monstly because I was exhausted. haha. But, It was LOTS of fun and I am so thankful for everyone that came and celebrated Kylin with us. So, I had planned on this cake being MUCH different and MUCH better, BUT Craig's flight came in 2 hours late, so instead of making the cake pops for the eyes, I was at the airport picking up my hubby. I was so glad he could be there for the party though. 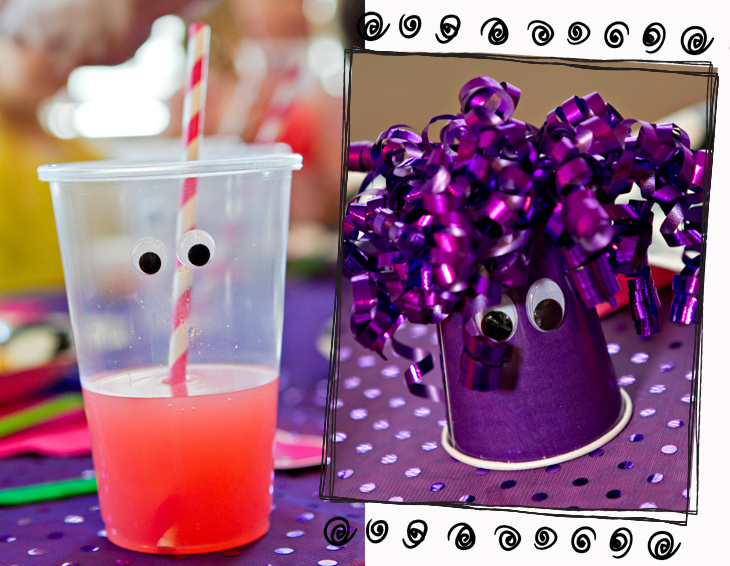 So, my sister Kim came up with a great idea to just use the paper eyes and mouth from Kylin's friend party. Sometimes I just have to accept that I can only do what I can, and then just be happy with it. Thanks for helping me rescue my cake kimbo. And thanks Ryan for getting me powdered sugar since I didn't have the ready either. haha! 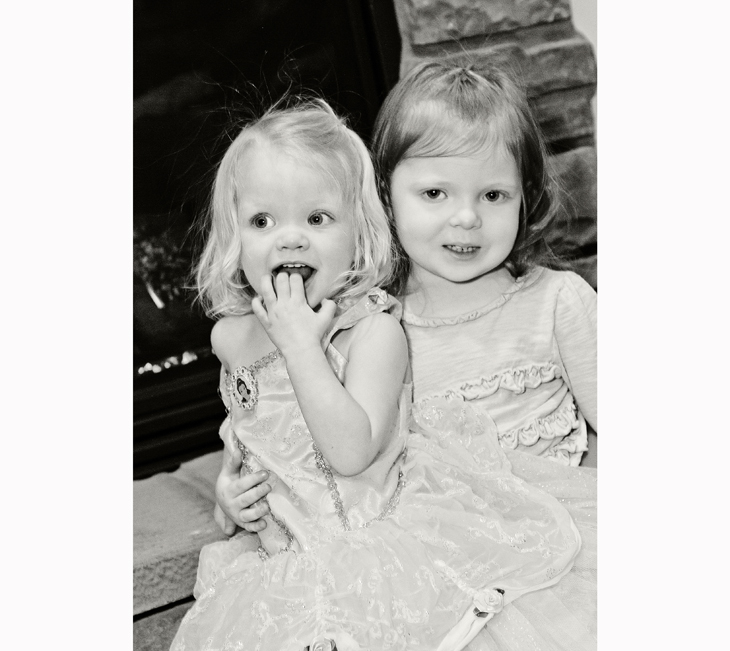 These girls are best freinds and I just loved this picture of them. One of Kylin's presents was a little makeup kit. 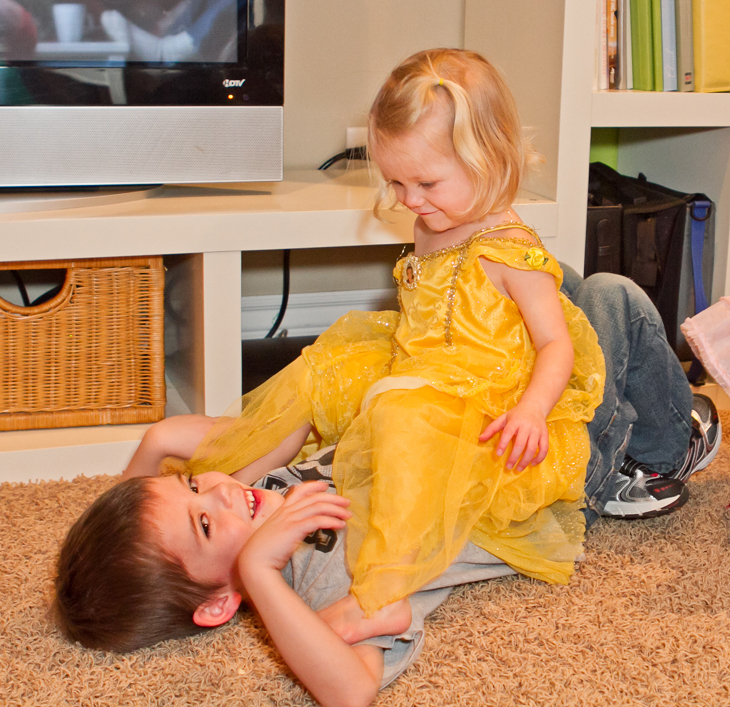 For a while she did her own makeup and let her cousins do her make-up and then she decided to find some willing victims to test it out on. Just kidding, it was actually pretty cute and if you could see the intense concentration on your face you would laugh. She did a pretty good job too....if tons of blue eye shadow is your thing. Pip was more than happy to volunteer. Now that this post has been the longest ever, to sum it up....it was a great couple days of parties and I hope Kylin had a blast! Love you baby...I can't believe you are 5!!! That is just daring. What great ideas!! oops, not daring, darLing. You are always doing the most adorable things. I would love to know how you did the frames around the pictures.... 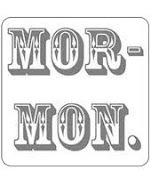 If you wouldn't mind. 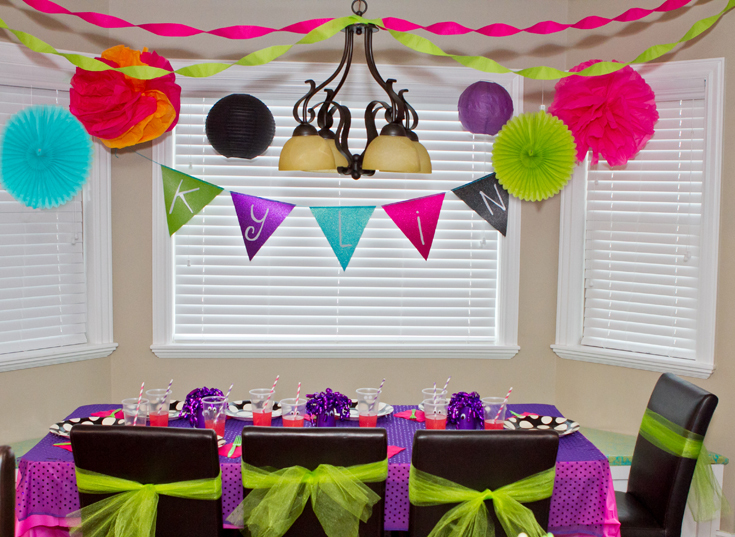 Your birthday party decor is always FABULOUS! So jealous of your talents! Love you guys! Kylin is beautiful! I love seeing how it all came together! VERY cute! You are the best mom! What a fun theme! 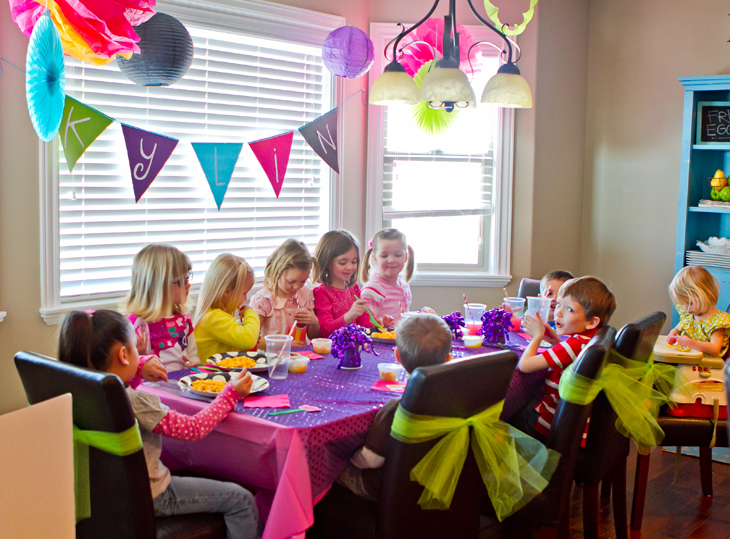 We used the glittery scrapbook paper A LOT in the Fancy Nancy party that Anna also picked out. Our girls really are so similar. Your party turned out great. Seriously. Your awesomeness makes me sick sometimes. Happy Birthday Ky!